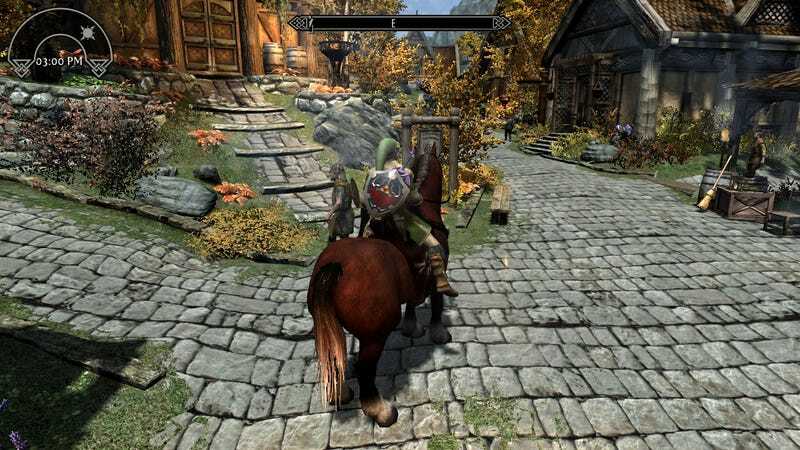 With the right mods, you can turn Skyrim into almost anything. Even, it seems, a Legend of Zelda game. We've posted before about ways to recreate Nintendo's famous green-clad adventurer in the latest Elder Scrolls game but intrepid Redditor Promarksman117 managed to place an impressive version of Link on his PC. Promarksman117 says that there are 200 mods at work in the screenshot above. There better be one to give Link a boomerang.